Available in five sizes, this print can be purchased stand alone or framed with real hardwood options. 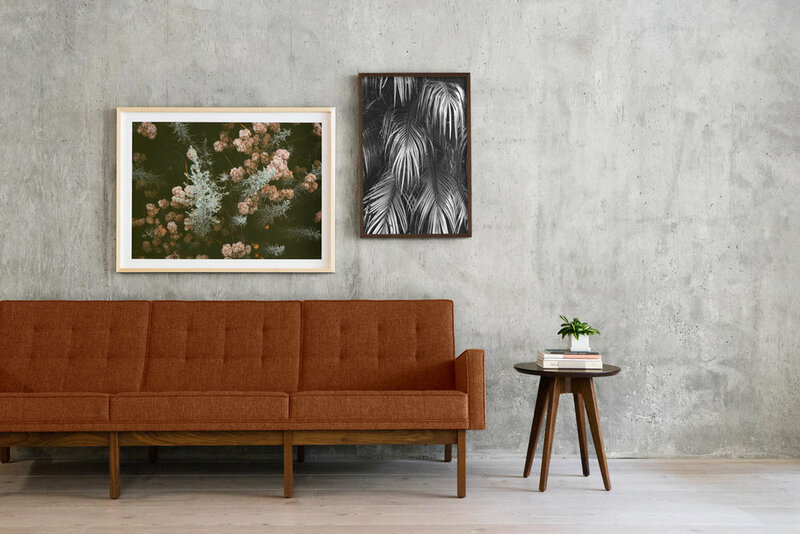 Unframed prints will match the dimensions of the selection made while framed print size will vary based on mat selection. For more details, check out the guide below. Ink-jet Giclée print on heavy weight 230gsm archival matte, FSC-certified, acid-free paper with a smooth, neutral-white finish. All orders ship for free with tracking and insurance! Prints ship via USPS and frames via FedEx. Pieces are safely wrapped and packaged securely. Orders are printed on demand, shipped, and delivered within 2 weeks. I am happy to do all I can to ensure you are completely satisfied with your print! If you have any issues, please contact me within 7 days of receiving your order so we can work together to make it right. No Frame — Unframed print size matches the dimensions of the selection made. Choose between black, white, maple, or walnut options. All frames are ¾” wide by 1 ½” deep and constructed from real hardwoods and include plexiglass, hanging wire and bumpers to protect your wall. 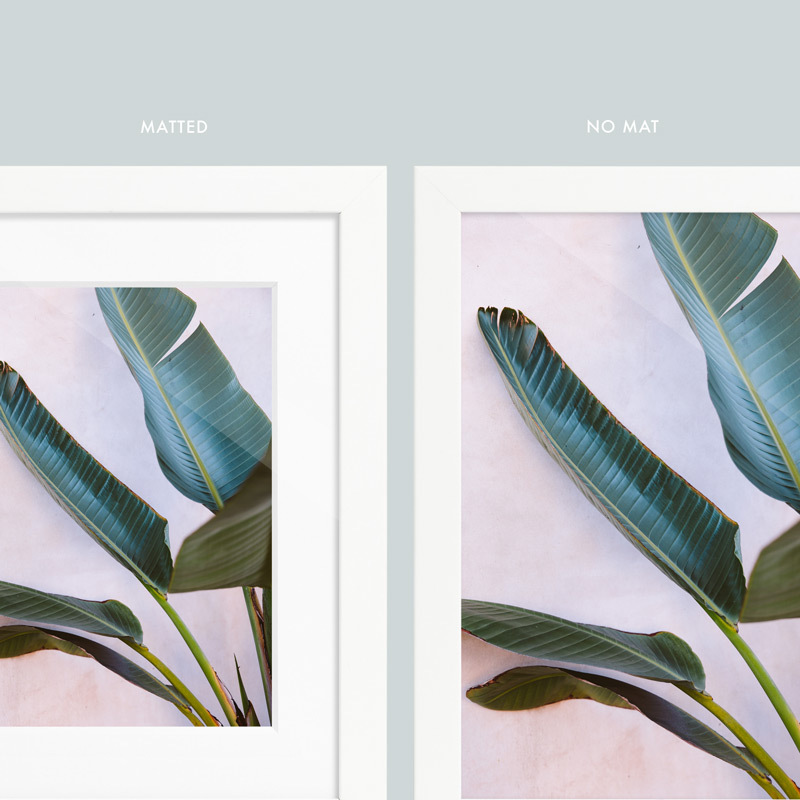 Choose between having your print framed with a mat or no mat. Mat board, if selected, is a double-thick, acid-free 8-ply mat.